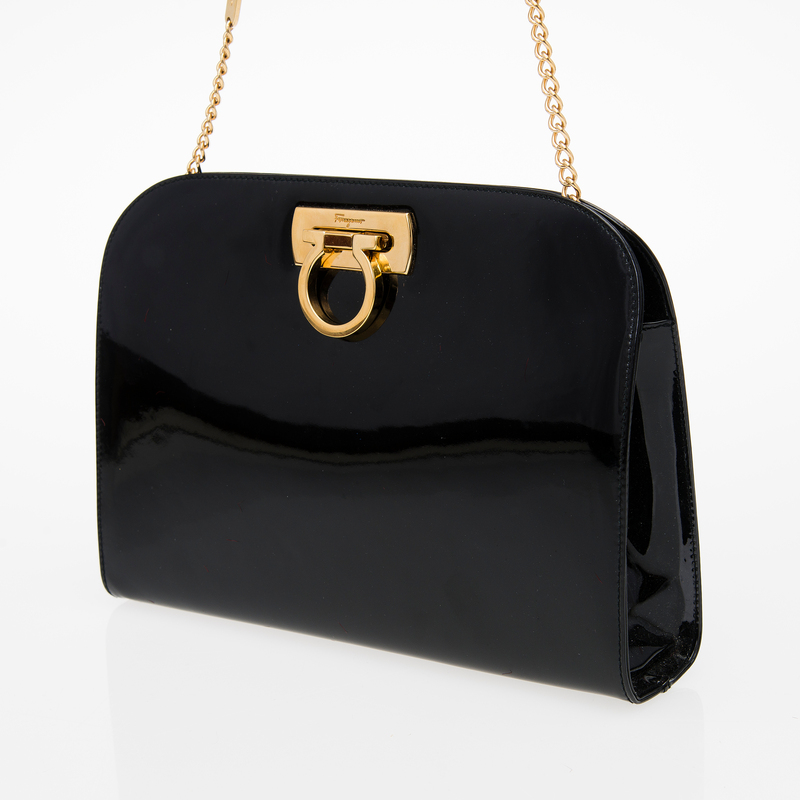 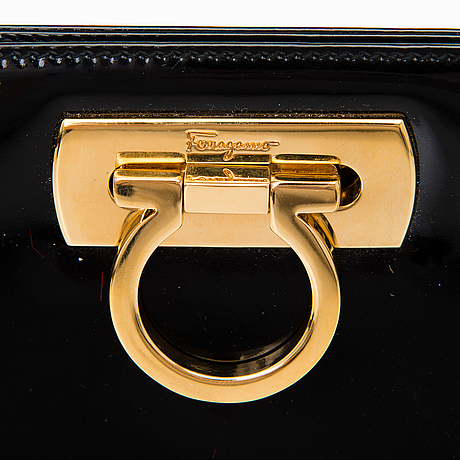 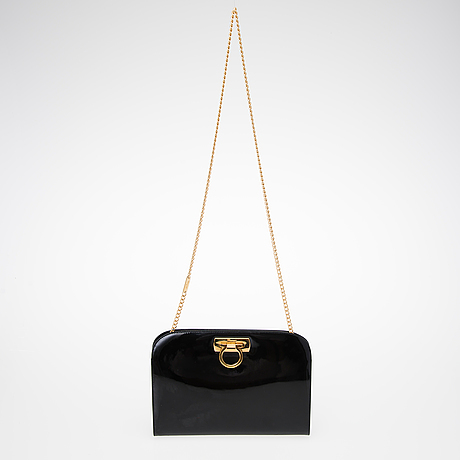 A SALVATORE FERRAGAMO Black Patent Leather Shoulder Bag. 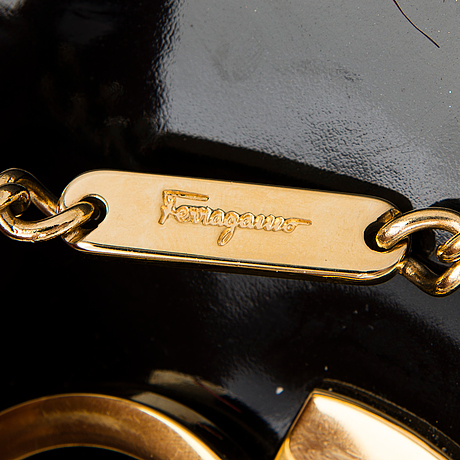 Clutch with goldtone hardware and chain. 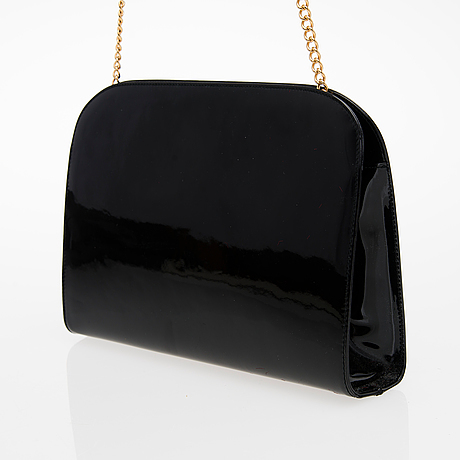 Black textile lining, one inside zip pocket. 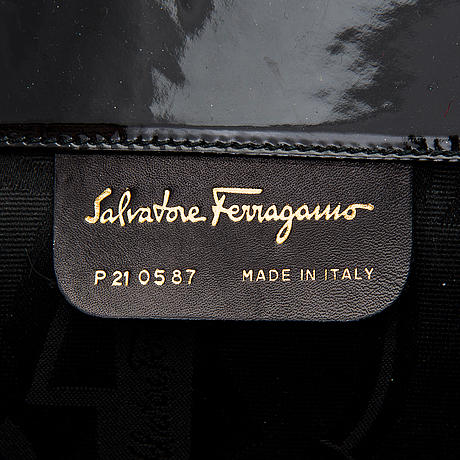 Labelled "Salvatore Ferragamo made in Italy".